Read the Metro Times article below about the workshop. Charlie Gabriel is a Detroit Jazz legend who is now the senior saxophonist and clarinetist in Preservation Hall and serves as the link between both cities and their jazz histories. Gabriel Hall, formed by his nephew Dameon Gabriel, leader of the Gabriel Brass Band, is the forthcoming music venue and Creole restaurant that will continue to preserve the link between Detroit and New Orleans Jazz. 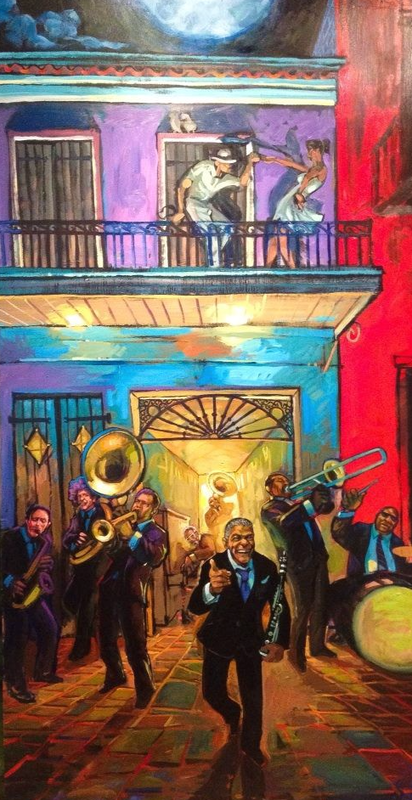 In addition to the presence of Charlie and Dameon Gabriel, Preservation Hall’s creative director and band leader, Ben Jaffe, will be there to co-facilitate the presentation. Today, Preservation Hall and Gabriel Hall are teaming up for a special student workshop at Cass Technical High School from 2 p.m. until 3:30 p.m. The Community Education Workshop: Music Heritage will include the participation of Detroit trumpeter Marcus Belgrave, along with Djallo Djakate and Marion Hayden. These workshops usually last about an hour and a half, with discussions about technique and sound as well as continuing traditions. With this free workshop, the group aims to link the connections between Detroit and New Orleans’ jazz traditions, with roots in the Caribbean. Cultural aspects will also be discussed, such as the significance of marching bands, second line parades and jazz funerals. With stories and musical demonstrations, this workshop will be more than just a history lesson. Cass Tech High School is located at 2501 Second Avenue in Detroit. Beginning in 2016, we partnered with Master Drummer, Chinelo Amen-Ra, to provide a series of African Drum Workshops at Marcus Garvey Academy in Detroit. The students of Garvey Academy participate in a weekly Harambee (coming together or gathering of the school community) as well as celebrations and events that would be enhanced with ceremonial drumming. Unfortunately, the school lacked both a sufficient number of drums and an instructor. Brother Amen-Ra has led two sessions of workshops to date. We are currently working toward providing the students with enough Djembe and Dunun drums so that all those participating in the workshops can play their own drum without taking turns or relying on outside sources for instruments. Click the link below to see a clip from one of the 2016-2017 school year workshops!